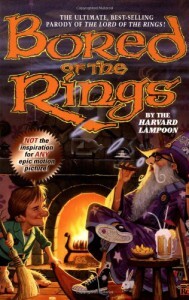 So-so parody of Lord of the Rings, written by the people who would later go on to form National Lampoon. Most of the gags and puns are glaringly obvious, so it's not as funny as it could have been. Comes across as pre-Pratchett-esque "look at how clever we are", but with fewer footnotes.